Frogs are carnivorous animals and they usually go after live prey, which mainly consist of small insects that they catch using their long, sticky tongue. The basic diet of frogs is highly varied and is dependent on the species of frog and its particular habitat. There are more than 4,700 species of frogs and they can be found on most continents except Antarctica. 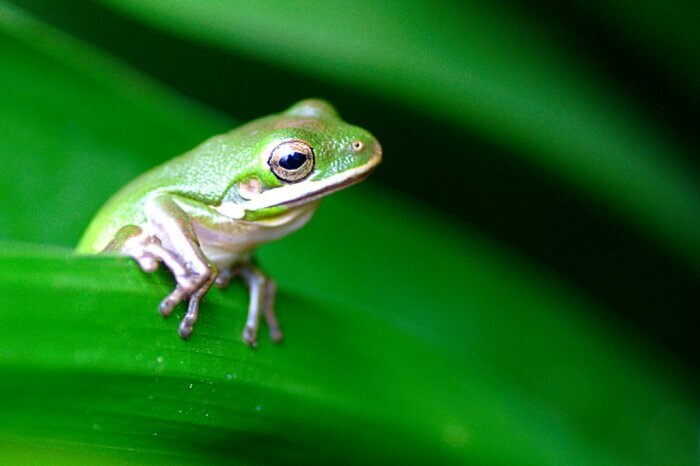 Frogs are amphibious creatures and most species are born as tadpoles and gradually become frogs as they reach maturity. Some species, however, are born as full frogs enabling such species to live far from a body of water. Lacking any teeth to chew and break down food before swallowing, frogs eat their prey whole. When swallowing, their eyes sink down into specialized openings in their skulls to help force down food. Apart from insects, frogs also eat snails, lizards, snakes, mice and even other frogs.